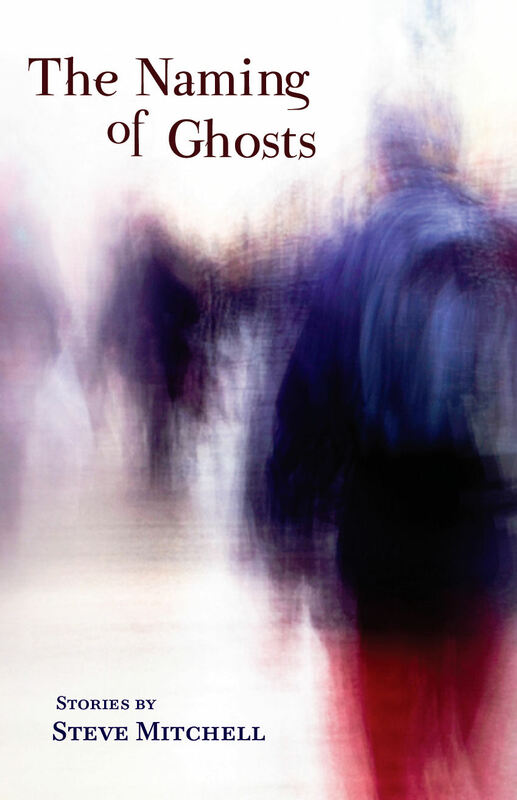 Steve Mitchell is doing his part to keep readers fascinated by the craft of short stories with his new collection, The Naming of Ghosts recently published by Press 53. One reviewer described his prose as “lyrical” and how his richly imagined stories in Ghosts “haunt the reader long after the final pages.” Steve has been a construction worker, cowboy, substitute teacher, chef, and has developed and managed a mental health program for the chronic mentally ill. His work has been published in the Southeast Review, Contrary, Glossolalia, and The North Carolina Literary Review, among others, and has been nominated three times for the Pushcart Prize. And aside from these great credentials, I can say he’s generous and kind toward emerging writers. I met Steve while assisting my writing teacher, Marjorie Hudson (another Press 53 author), at a workshop she gave. He made me and other aspiring writers feel welcomed and encouraged. I’m so happy to connect him with this wonderful community of creative folk. In the end, writing for me is about wonder. Even if the particular work doesn’t reflect it immediately. It’s about the wonder and mystery of living; the necessity of questions, the beauty of not knowing, the wonderful impossibility of ever understanding another person completely. Uncertainty provides a beautiful space in which to meet one another. I pretend to be another person, pretend to see the world through their eyes. I’m searching for patterns in our experience, I guess. The things which draw us together and pull us apart, the things which make us want to reach out for another or the moments when we have no choice. Also, I think all writers revel in a love of language. The thrill of it, the way it tastes and sounds and forms itself around the tongue. It’s a tactile, sensual obsession we share. How do you decide what point of view a story will be in? Do you experiment a lot or just get a sense right away? Has there ever been a story you had to completely rewrite in a different point of view? Generally, the point of view comes with the story. I write predominantly in the first person, from the point of view of the characters themselves, so that’s usually where I begin: with a particular person in a particular situation or state of mind. They form together, story and point of view, from an amorphous blob of frustrations and associations. The voice, however, can take quite a while to develop. I do experiment a good bit with voice and I have started a piece again from the beginning with a new voice more than once. The voice requires patience. Tell us about your new short story collection, The Naming of Ghosts. Is it held together by a set of recurring themes? These are stories written over a number of years and the idea was simply to collect stories which held together, got along with each other somehow. It was more of an intuitive process, not around themes, more as a certain kind of ride or journey. It’s always about people, what happens within or between people and how that changes the world around them. Robert Olen Butler, in an interview, said that developing a character is about understanding yearning. He differentiates between a fully rounded character who yearns (“for self or for connection”) versus a character “who simply has problems.” He feels that the “yearning dictates every other choice.” When you’re writing, how aware are you of the essential yearning of your main character? I think this is the essential human condition; we are creatures who imagine, envision and yearn. It’s the foundation of empathy and empathy is the key to writing. As a writer, I feel I must love every character. That’s my job. To love the inarticulate or the unlovable; to understand something about them which makes them human. There may be characters who can’t articulate their own yearning. This doesn’t mean it isn’t there, it only means it isn’t spoken. Yearning is the driver, superseding other concerns, because yearning speaks to the shadowy, ill-defined ways we actually see the world around us. Yearning is always idiosyncratic; it means we make choices which comply to an internal logic or mythology, but aren’t necessarily understandable to anyone else. And I love the gaps which occur between our personal mythologies, between what we accept as a given which, possibly, no one else sees or understands. What’s changed for you since being published by Press 53? Well, it was a year and a half between acceptance and publication, during which I was always vaguely anxious, certain that some crisis or tragedy would prevent the book from coming into being. It was scheduled for 2012, so I secretly believed the Mayan calendar would end the day before publication and the universe would blip out of existence. I was relieved when that didn’t happen. There is a sense of completion, the ability to take a deep breath. But I’m really just beginning. It’s only been a month or so. I’m looking forward to going on the road and reading in bars, on street corners, maybe even in bookstores. I’m looking forward to meeting people and introducing them to the stories, beginning a dialogue. That should be fun. It’s also released a good bit of energy. Suddenly I have five or six projects going at once. What’s on your bookshelf, next to your bed? What are you reading right now? Jen McConnell’s Welcome, Anybody. She was published in the Press 53 Spotlight Anthology 2011 with me and I enjoyed her stories. Mindscreen, by Bruce Kawin, a theory and study of first person film. I read it years ago and hadn’t realized what an influence its been. Roberto Bolano’s 2666, a re-read. A beautiful, mysterious, relentless book. Final Acts, Death, Dying, and the Choices We Make, edited by Nan Bauer-Maglin and Donna Perry. Research for a novel in progress. Just as important, I’m currently watching Alex de la Iglesia’s The Last Circus and the second season of Treme; I’m listening to Bruce Peninsula, Foals, Osvaldo Golijov, and Jon Brion. Cultivate a sense of beauty. Because if the world isn’t beautiful it’s not worth saving and all writing is about saving the world, if only from the wear of time. Be curious; not only about the things that interest you, but especially about the things that frighten you, make you uncomfortable. Writing is life; life is writing. There’s no other way. Sorry, I couldn’t stop at one.